Parlophone will be issuing the following three limited edition David Bowie discs for Record Store Day on April 21st. David Bowie vinyl releases are always a Record Store Day highlight, and 2018 will be no exception. On April 21st Parlophone will be releasing three very special limited edition David Bowie items; WELCOME TO THE BLACKOUT (Live London 1978), LET’S DANCE (DEMO) and, available for the first time commercially, the rare Berlin era US promo album BOWIE NOW. The 45 rpm 12” single features the first appearance of the full length demo of ‘Let’s Dance’ which was previously released in an edited form digitally for David’s birthday on 8th January this year. The full-length demo version clocks in at 7.34 and like the edited version this was mixed by Nile Rodgers (original co-producer of the demo with David) in November/December of last year. The demo is backed by the live version of ‘Let’s Dance’ recorded live at Pacific National Exhibition Coliseum, Vancouver, British Columbia, Canada, 12 September, 1983 and mixed by Bob Clearmountain. This version can be seen in the Serious Moonlight concert film and was also previously available on the AA side of the now very rare Australian ‘David Bowie Is’ exhibition exclusive yellow vinyl 7” single. The sleeve of the 12” single is a differently coloured variation of the original ‘Let’s Dance’ single cover. This is the first commercial release of a rare 1977 US only promotional-only LP on white vinyl. The tracks are drawn from the Low and “Heroes” albums and all of the audio is from the A New Career In A New Town box set remastered by Tony Visconti. The package now features a newly designed inner sleeve with a rarely seen black and white image of David in Berlin in 1977. Recorded at The Château d'Hérouville and Hansa by the Wall, Berlin between September and October 1976. Recorded at Hansa by the Wall, Berlin between July and August 1977. Parlophone announces the following three David Bowie exclusives in conjunction with David Bowie is at the Brooklyn Museum. 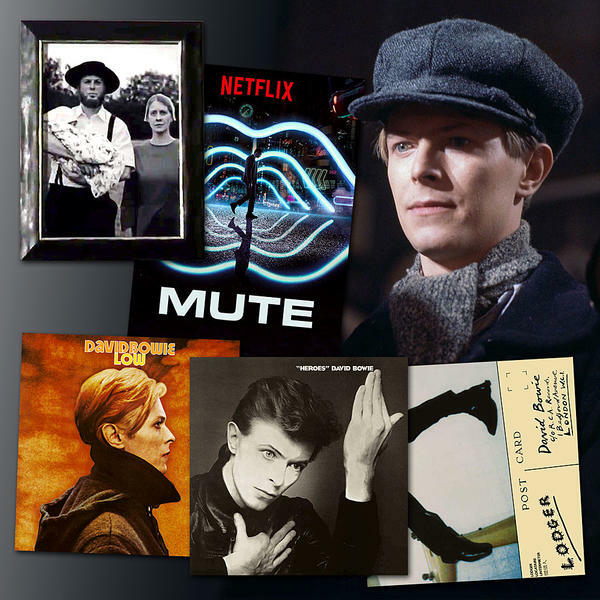 On the occasion of the opening of David Bowie Is at the Brooklyn Museum, Parlophone is pleased to announce a selection of exclusives, only available at the Brooklyn Museum starting 2nd March. 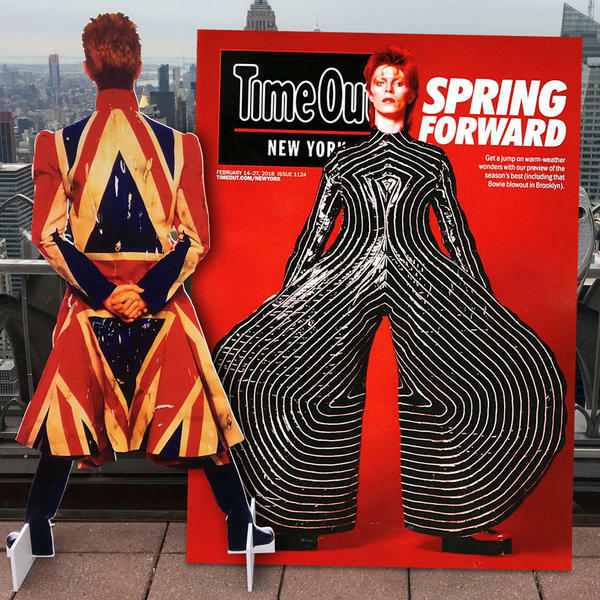 The exhibition - David Bowie Is has been touring globally for the past five years visiting London, Paris, Berlin, Amsterdam, Barcelona, Tokyo, Melbourne, Bologna, Chicago and will be taking its final bow at the Brooklyn Museum in New York from 2nd March. 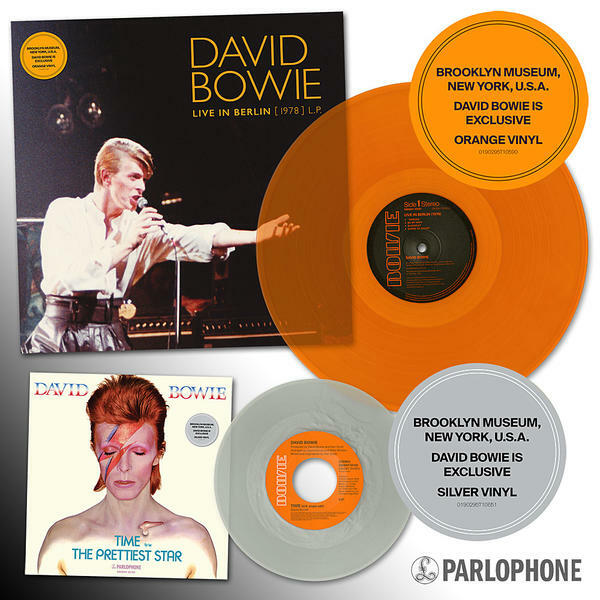 As with many of the other stops on the tour there will be exclusive limited Bowie vinyl for sale at the Brooklyn Museum. Exclusive to the exhibition shop at the Brooklyn Museum, this item is a translucent silver vinyl version of the 1973 ‘Time’/‘The Prettiest Star’ US 7” single complete with a reproduction of the original undistributed picture sleeve. Also exclusive to the exhibition shop will be an 8-track mini-LP on transparent orange vinyl, recorded live in Berlin at the Deutschland Halle, Berlin on 16th May, 1978. Four of the tracks are completely unreleased and the remaining four were only issued within the last six months, three on a digital streaming only E.P. which was only available for five days and one on the B-side of the 40th Anniversary “Beauty And The Beast” 7” picture disc released on 5th January this year. The front cover features a shot taken by fan Antoine Loogman at the show. Due to overwhelming demand this exhibition only exclusive red vinyl LP will be made available once more. 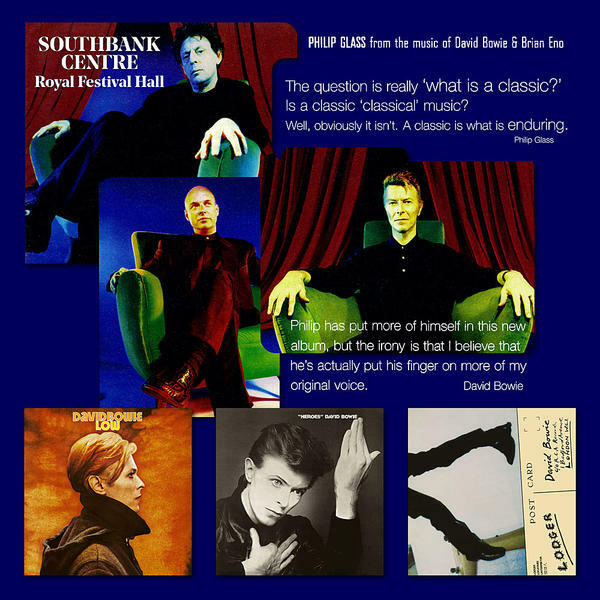 The iSelect compilation features tracks chosen personally by Bowie along with sleeve notes on a fold out insert. This LP has only previously been available in very limited quantities at other David Bowie is exhibition shops. All tracks are the studio versions from the original albums other than “Some Are”, “Time Will Crawl (MM remix)” and the live “Intro/Hang On To Yourself”. The version of “Time Will Crawl” is exclusive to vinyl on this compilation. Arranged by David Bowie and Mick Ronson. Mixed and engineered by Ken Scott. As we mentioned previously, original second-hand vinyl copies of most Bowie albums are attracting far higher prices in the last couple of years than they ever have done. These Parlophone reissues are a great starting point for those wanting to build a Bowie vinyl collection from scratch. 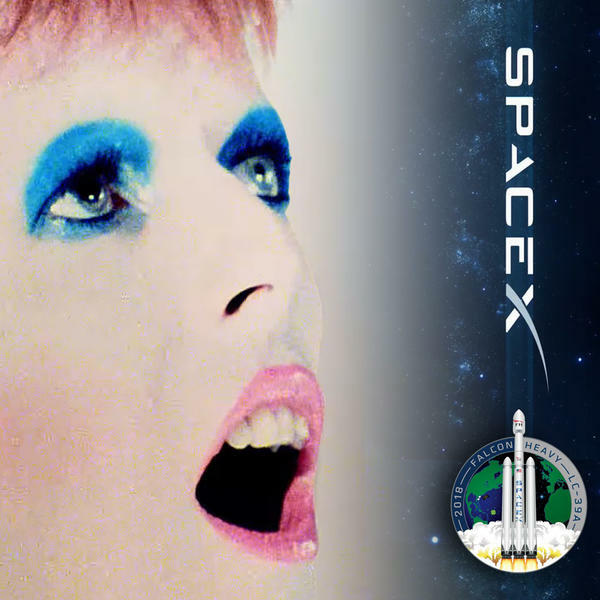 David Bowie was always one of the more collectable musicians, and with original second-hand vinyl copies of most Bowie albums attracting far higher prices in the last couple of years than they ever have done, the Parlophone reissues are a great starting point for those with a smaller budget wanting to build a Bowie vinyl collection from scratch. A cursory look at recent sales on popular online sites have seen copies of Low (originally released in 1977, but unavailable on vinyl since 1991), exchange hands for an average of £35 -£45 (GBP) (USD $49-$62) and over £200 ($280) for a “used” condition promo copy just last week.